Did we lose you at "ride dinosaurs"? Five words that will make any gamer cry: open world dinosaur survival game. 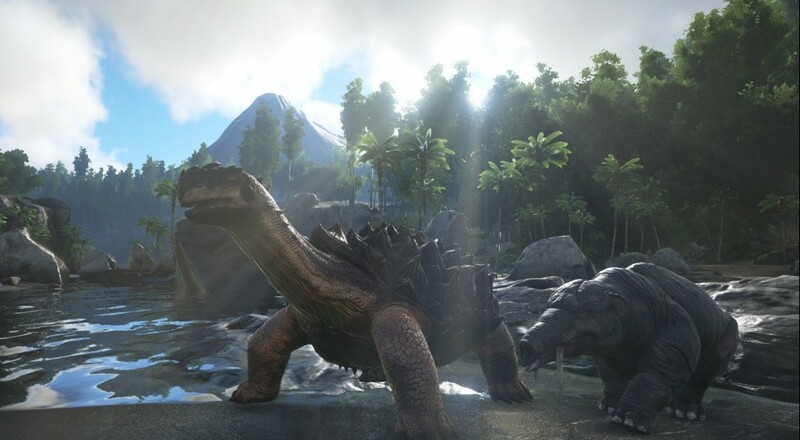 It's called ARK: Survival Evolved, Studio Wildcard is making it, and it has an enormous persistent ecosystem to explore. Also, there's dragons. Just in case "plain" dinosaurs weren't scary enough. Players awake on the beach of a mysterious island surrounded by other confused humans. Everyone has to figure out how to stay alive, which includes hunting, harvesting, crafting, researching, and building shelters against the elements. The world of ARK utilizes a blend of prehistoric weaponry and far-future technology that us mighty modern humans would be baffled by. All of this is set in a wild world of dinosaurs who just love sinking their teeth into the warm flesh of mammals.